Getting sick so many times per year is horrible. It eats up all of your free time, eats up your sick days, and really eats up your vacation time. Who wants to take a vacation when they’re sick? It would never happen. Getting sick a couple of times per year is perfectly fine, and it happens to most people, even with really healthy immune systems. I’m talking about the people who get sick every 2 months or more. This is when you should start seriously worrying about why you’re getting sick so often. More of than not, it’s not just bad luck plaguing your existence. It’s usually because your environment and eating habits are really hampering your immune system. Did you know that everything you put in your body directly affects how well you can ward off any impending infections or sicknesses? This is why you usually see people getting sick when their diet consists of fast-food and other processed junk. This kind of food rarely has any significant forms of nutrition that help contribute to a healthy body. Being devoid of essential vitamins and minerals can only hurt your chances at warding off disease and sickness. You should be eating a diet rich in vegetables, fruits, lean meats, and drinking at least 64 ounces of water per day. This is the bare minimum for water. You should actually drinking close to double that over a whole day. Look around you right now, and you’ll most likely see why you’re getting sick all the time. Are your kids running around with runny noses? Are you at an office where it’s very tight and people are often with constant contact with one another? Are you in a situation where you need to shake hands with a lot of people often? All of these could contribute to your defense against germs. You involuntarily touch your face over 100 times per day. If you have any germs on your hands that cause the cold or flu virus, you’re going to have a better chance of getting it if you touch your eyes, nose, or ears in particular. This is why it’s important to practice good hygiene, and wash your hands often. For one, take more showers. Two per day is the recommended amount. In addition, eat every time you eat a meal, both before and after. If you have touched a lot of things in public? Wahs your hands after you’re done. Have you just shaken a bunch of hands? Wash your paws afterward. 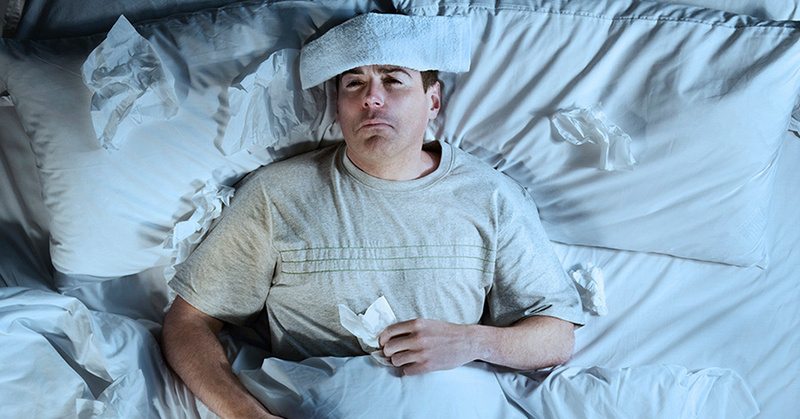 These essential tips will keep you from getting sick and strengthen your immune system significantly.